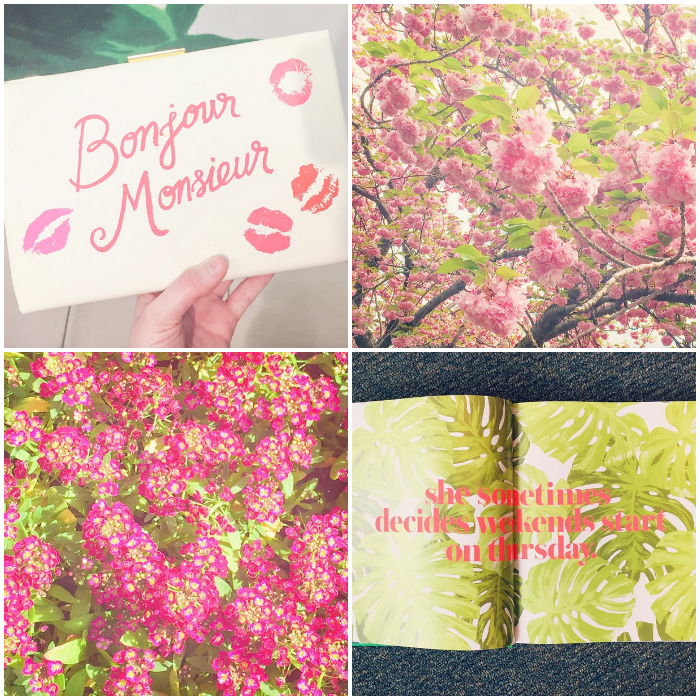 The Blush Blonde: J'adore June, Will You Too? J'adore June, Will You Too? 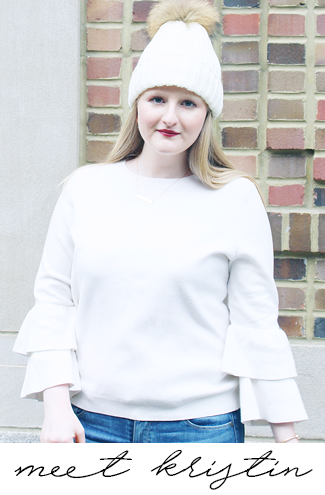 So I feel like between yesterday's Instagram recap and Wednesday's reintroduction post this week has almost been all about getting to know me better. If you read yesterday's post then you know just how much I love Instagram and today I have an awesome announcement to make that continues my getting to know you trend and incorporates that love! 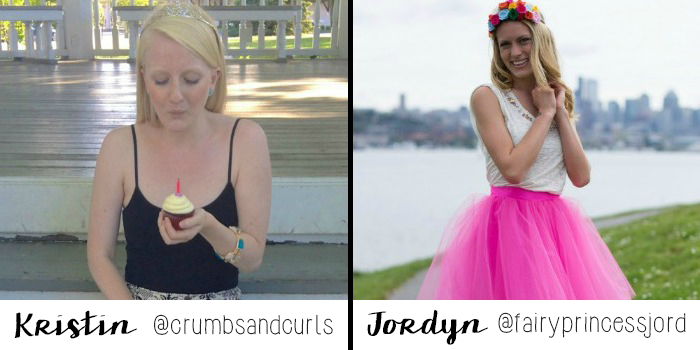 I am so excited to tell you that the lovely Jordyn of The Fairy Princess Diaries, aka one of my blog besties, and I are co-hosting an Instagram challenge for the month of June! We are both huge fans of Instagram and love a good photo challenge so I figured it was only appropriate that we had our own. Jordyn and I are basically the girliest girls around so of course on our end we had to add some pink girly fun! 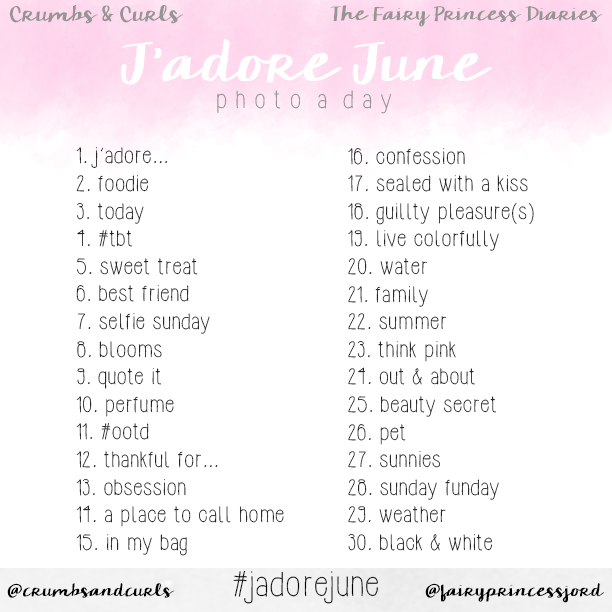 I love alliterations so I thought J'adore June would be a cute name for our challenge, j'adore means I adore in French and who doesn't adore June? We would be absolutely ecstatic if you adored June and us and joined us in our photo challenge for the month! It will be a lot more fun if it's not just Jordyn and I posting pictures so I would love to invite you to join along with us in posting a picture everyday in June along with the hashtag #JadoreJune. Below are the 'prompts' for everyday and I'm really excited to hopefully see everyone's unique take on each idea. I will be checking out the hashtag #JadoreJune every day (ok more like multiple times a day) on Instagram to see the new posts and I know Jordyn will be too! So basically we really, really hope you all will be joining us for #JadoreJune and we couldn't be more excited to see what you post! I will have a reminder up here and on Instagram on Monday and even if you don't join us I hope you enjoy the pictures we put up throughout the month! Today I'm linking up with Oh Hey Friday, That Friday Blog Hop, Casual Friday, and Fab Favorites. I seriously loved that kate spade clutch you posted on IG! Darling! Hello! I am excited for the challenge, I told my sister about it and she is joining in too! !